To market, to market we definitely come. 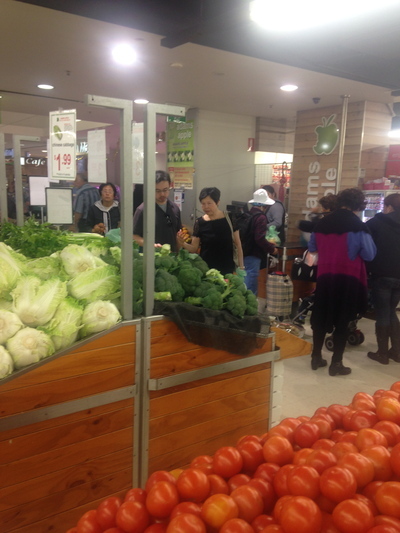 Adam's Apple at The Station is situated right inside the main food court area, right near a popular Asian grocery at Hurstville train station. The crowds (like a Paddys Market feel) grabbed me in, maybe because I was in the mood to be surrounded by many people on a leisurely Friday afternoon. The food looks fresh, and extremely well presented. That was the bait that meant that I was the fish being caught out in this situation. I wanted something to snack on, yet wasn't in the mood for a full blown lunch, of which you get to enjoy an abundance of such in this area. The fresh fruit and vegetables you can buy at this large grocery is rather unique and different. 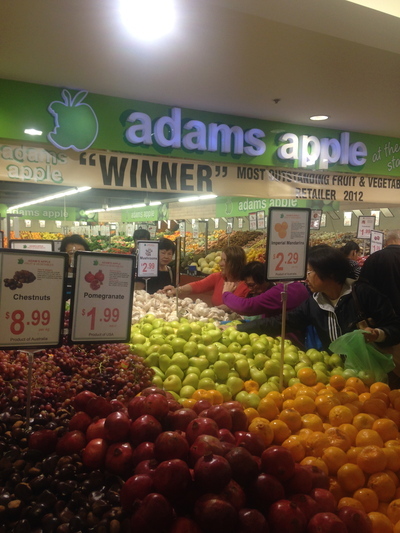 This shop does not compete with those large supermarket chains; in fact Adam's Apple at The Station is entirely in a league of its own. Then again, the images embedded within this article for your enjoyment speak way more than a thousand words of what I'm trying to articulate here. It also feels like you're at a real Asian marketplace here, even though you spot people of many different nationalities stocking up on some water rich goodness. 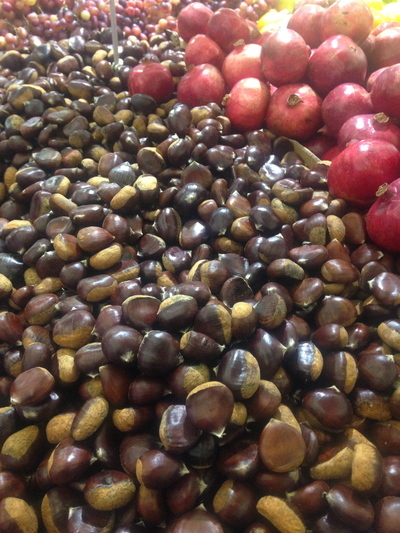 I was even impressed to see some fresh chestnuts and pomegranates on display, as well as the common fruits such as imperial mandarins. 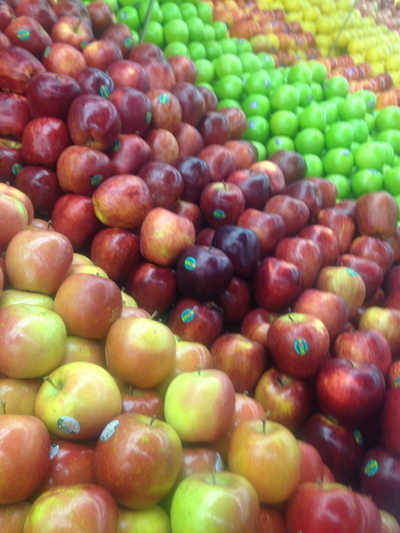 Must I say, being an apple lover, I was rather impressed with the diverse range of apples for sale here. It's like heaven for healthy candy lovers, if such a world really existed. Move over red delicious and granny smiths. How about a jazz apple? Or a nice, large juicy kanzi apple? It's all here for the taking. 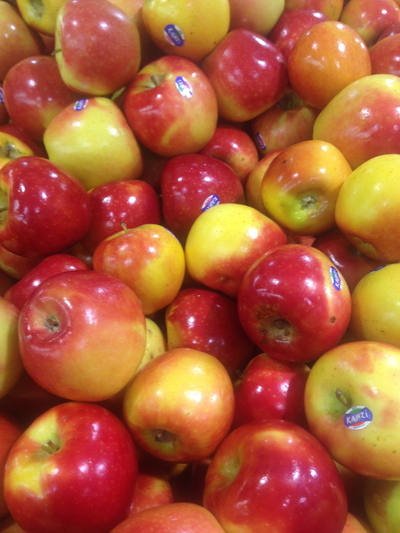 Ended up leaving with a Jazz Apple ($1.31) priced at $6.99 a kilo; and a Panzi Apple ($0.80) priced at $2.99 a kilo. Delicious, and ever so juicy. A great alternative to something alcoholic on a Friday night...although I did look in the mirror later and noticed a small crack in my front tooth, of which I've just received emergency dental treatment for, and all is now well. In saying it, it is difficult to prove if any of these two apples did cause a small crack in my front tooth. Otherwise, this was a minor misfortune. Forgive me, I won't digress. At the back of the store (opposite the checkouts) you will find some divine drinks, and this is where I discovered a 240ml can of imported Milo ($1.29) - as in the actual milo drink. I am super stunned as to how cheap this can is. You'd be lucky to buy a can of Red Bull for $3. For any of you Red Bull drinkers out there who happen to be reading this, please correct me on the pricing of this energy drink if I am wrong. Enjoyed it this morning on the way to the city, and the milo taste sensation is strong, delicious, alive, and well. Great value for money, and way better than those strong energy drinks. This treat is also gentle on the stomach, love it. The service is fine too, yet the prices of many goods here are fairly cheap. No wonder Adam's Apple is busy. 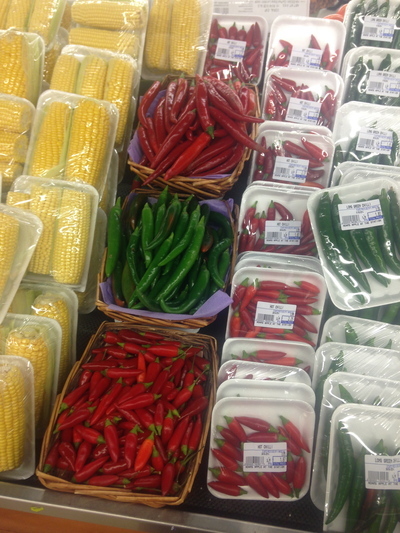 I highly recommend it, and this place will be my regular foodie visit for produce shopping. Cheers. Where: Hurstville Train Station - food court area. 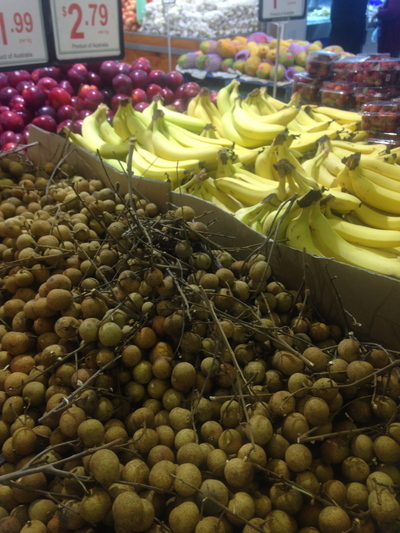 Why: Apples galore, and cheap prices for quality stuff - including an imported 240ml can of Milo. Cost: Only $3.40 for all of the above. When: Loved the buzz on an early Friday afternoon. Completely up to you though. Good for kids: Not really. To market, to market for the big ones who are in the mood to shop for some quality produce tucker. Take away: The whole point -100%. I was surprised at this jewel what a great layout. My shopping was defiantly quicker there was a huge range of fruit , vegetables and large variety of small goods all were very well priced I might add. I would recommend visiting if in the area.